So how do we get out of this place? Let’s face it. Mike Arrington’s problem with the iPhone, Om Malik’s problem with AT&T, the FCC’s problem with Apple + AT&T together, my own problems with Cox, Dish Network and Sprint, David Pogue’s problem with the whole freaking cell phone industry … all of these are a great big WAAAH! in the wilderness of industrial oblivity to what customers want. We’re in the graveyard of what Umair Haque calls the zombieconomy. 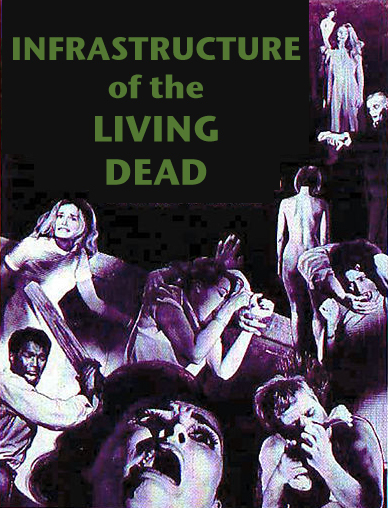 We’re living in Night of the Living Dead and complaining that the zombies want to eat us alive. Is 15 seconds here and there that big a deal? Well, Verizon has 70 million customers. If each customer leaves one message and checks voicemail once a day, Verizon rakes in — are you sitting down? — $850 million a year. That’s right: $850 million, just from making us sit through those 15-second airtime-eating instructions. It was JP Rangaswami (disclosure: I consult JP and his company, BT) who first pointed out to me that the primary competence of phone companies isn’t technical. It’s financial. They’re billing machines. That’s their core competency. And it was r0ml who pointed out, way back when he was with AT&T Wireless (before it became Cingular, and then the AT&T we all know and hate today), that phone companies arrived at the holy grail of micropayments decades ago. They don’t charge small amounts, but they know how to add them up, and round piles of microminutes into billions of dollars. A better movie metaphor is The Matrix. We’re all wet cell batteries inside giant phone company billing systems. The machines took over a long time ago, and they’re still running the world. Profit through economic harm to others results in what I’ve termed “thin value.” Thin value is an economic illusion: profit that is economically meaningless, because it leaves others worse off, or, at best, no one better off. When you have to spend an extra 30 seconds for no reason, mobile operators win — but you lose time, money, and productivity. Mobile networks’ marginal profits are simply counterbalanced by your marginal losses. That marginal profit doesn’t reflect, often, the creation of authentic, meaningful value. The fundamental challenge for 21st Century businesses — and economies — is learning to create thick value. We’re seeing the endgame of a global economy built to create thin value: collapse. Why? Simple: thin value is a mirage — and like all mirages, it ultimately evaporates. In the 21st Century, we’ve got to reconceive value creation. Constructive Capitalists are disrupting their rivals by creating thicker value. Thick value is sustainable, meaningful value — and a new generation of radical innovators is wielding it like a strategic superweapon. No, this probably isn’t the next Apple or Motion Computing, but here’s the secret. Let’s assume there are just 1000 people out of all the TechCrunch people in the world that want this device. If this device gets made and sold to 1000 happy people and the result is a manufacturing world and process which can now do these “one off” type devices, the game changes. That’s why I want this device to get made. It begins a high profile (and positive) disruption at the point of manufacture and that can mean exciting things to you. One way to blow up silos and walled gardens is de-verticalize industry itself. Not by making it horizontal (that’s too abstract), but by making it personal. Rick’s angle here is to go all the way to the source, and make manufacturing personal. I’ve been through this loop many times, this is Mike’s first. The only platform that really works is a platform with no platform vendor, and that’s the Internet. Right. The Crunchpad, as I understand it (and the Crunchies have explained it) is a Net-native device. Standards-based. Commodity parts. Full of open source stuff. The platform is the Net. The vendor is TechCrunch, but trapping users isn’t their game. They’d rather have thick value than thin. So how do we contribute, besides paying cash for goods? By being constructive customers, rather than passive consumers. That’s what Rick is calling for here, and why we, as free and independent customers, can choose to support something that uses the Net as the platform, and is built to be user-driven. Think about it. Is the Crunchpad crippled by any deals with a major vendor of any kind? Is it locked into any phone company’s billing and application approval systems? Is it locked into any one industry’s Business-as-Usual? No. So who is in the best position to contribute to its continued improvement, besides the Crunchies themselves? We can drive this thing. Even if what Dan Frommer says is right, and Apple comes out with the world’s most beautiful pad ever, and pwns the whole category, there’s more vroom for improvement in the Crunchpad, because Apple’s device will be closed and the Crunchpad will be open. Or should be. The irony is that while telecom competency may be in billing, its also the largest cost of the service. Rate limiting is only a justification for the cost of rating in the first place. The tendancy for telecom to personalize is going to start with personalized rate plans and their inherent restricted services. Not setting aside old competencies for new margins, or old structures for new volumes. there’s plenty of room in the long tail for a crunchpad. he’s just got to get the economics right. Thanks Ross. Great point. And that’s another thing JP often talks about. What’s sad, yet typical, is that plenty of opportunities grow all around the carriers (e.g. offsite storage and compute power, but with lower latencies than you’ll get with S3), but they see too much of it as a threat to their existing businesses, or a competence that just doesn’t interest them. Oh well. Trees don’t grow to the sky. So you agree with Dave that the internet “is” a platform? Others argue that the platforms are at the ends and just use the internet as pipes. PXLated, I see the Net as the same kind of platform as the Earth: it’s geology. Anybody can build on it, or build with it. Rich is right. Users taking control of product design is the way of the future. I wonder how much religion there will be in the Crunchpad. Love your view on thin value and meaningless profit and JP’s understanding that phone companies are more about billing competency than technical competency. Thanks for writing this. The good news is that with open API telco / comms platforms emerging, this industry is about to go through a dramatic transformation that will result in increased user options, improved communications and a healthier, diversified, global communication economy. The truth is, most everything that can be done on legacy phone networks can, and will soon, be done on the open internet via voice applications created by traditional web developers. (As a disclaimer, I should note, I work at Ribbit – an open API / Voice 2.0 company in Silicon Valley). – Voice / comms innovation will continue to migrate to the browser. Walled models erode over time. – Voice / comms becomes device, platform, network and protocol agnostic. (users end up with more choices). – Voice increasingly becomes a data object and is intelligently integrated into work and life flow. “Pipe companies / data movers” are relegated to commodity status. – New service providers, with new business models, will surface to take advantage of significant “seam” opportunities providing us better products and services at a reduced rate. – Voice costs drop, but the comms industry flourishes (for those that change their behavior) due to the proliferation of value added applications and productivity integrations. – A multi-trillion dollar global “voiceware economy” emerges fueled by developer innovation, new business models and marketplace pull. In short. Thank You FCC for (apparently) attempting to remove the false barriers to innovation that have so long defined this industry and subjected consumers world-wide to artificial, monopolistic (thin value) behaviors. The disruption wars are just beginning, with the GV / Apple / AT&T situation being indicative of larger battles to come. The good news is, I believe it will result in increased consumer options, lower-friction global communication, developer innovation and a healthier, more robust global information economy. Of course the Internet is a platform. You call procedures on each of the nodes. They return results. As the “open API telecom” concept takes hold, developers or groups of developers will have fewer barriers to innovate. It’s just a matter of time. If you’re a telco, Time means money. If you’re a developer, Time means innovation. The cosmic truth is like John Lennon saying “The War is Over” and then we all move on. I would argue that some attention to “Rich Applications” of some sort will drive adoption, use and popularization. Not the form of the device. Though it appears to be a nice looking device. As Don mentions, a whole new application infrastructure is maturing around the principles of Web 2.0 and it will make the CrunchPad (and just about any other “open” or API friendly device) more valuable with time. Once you prove value, you work out the economics. Seems to me you’re overlooking one fundamental fact of life. Individuals are motivated to gain benefit out of what they do. When these individuals are signed-up to corporations (in order to get salaries), the corporations’ benefit of choice is profit. So whether it is the providers of (pieces) of the internet or providers of services and applications over it, they will want to bill for what they deliver. Hence billing must always remain the core competency and the race is all about providing stuff people want to buy, in the way they want to buy it, when they want to buy it, etc. Sadly (or not, depending on your viewpoint) the old aphorism remains true “the only reason for building this stuff is so there’s something to bill for” (with apologies to the English language). Neil, sure; individual benefits and profits for companies are always in play. And billing will always be a competency, in some cases more “core” than others. The problem for the phone companies is that both the operational and opportunistic costs of the way they bill have been exceeding the benefits. They are in serious danger of overplaying their hand in a game that’s changing. And they don’t know the new game as well as the old. There is huge opportunity to play a new game here — one based on knowing the Net is the real platform, and that anybody, not just the old controlling interests, can build on it. What is expressed here is Arrington’s charisma, his ability to develop dogma. His fans will be happy with what he makes regardless of utility. I am a proponent of “one-off” manufacturing and “mass-customization” and I have been working with these ideas for a long time. There is nothing in TechCrunch’s presentation of the CrunchPad that suggests any kind of “one-off” manufacturing process. The description, specs, prototypes, location of manufacture, even the packaging prototypes suggest that they intend to produce many identical copies of one design. I have to second Matthew Schrock’s skepticism. 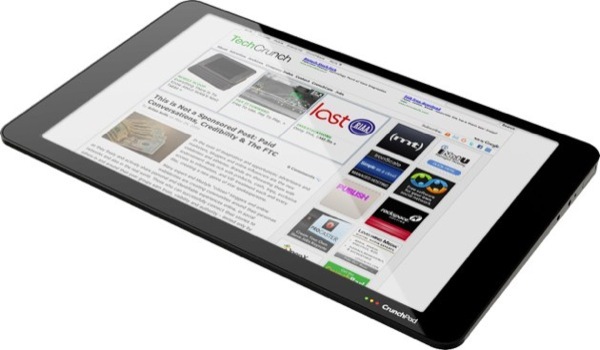 Where is the evidence that the CrunchPad uses any new design or manufacturing methodology? Arrington and Digital Garage certainly didn’t invent shanzhai. It’s also sad to celebrate the openness of the CrunchPad given that such openness was the default not too many years ago before platform lock-in monopoly madness set in. Matthew & Wes, the key questions are in the last two lines of my piece. I haven’t heard from Mike yet. If I don’t, I suspect you’re both right. I represent a site that me and my friends have created – Infomate.org. empowerment it provides for the content authors. so that your posts become available to our community.